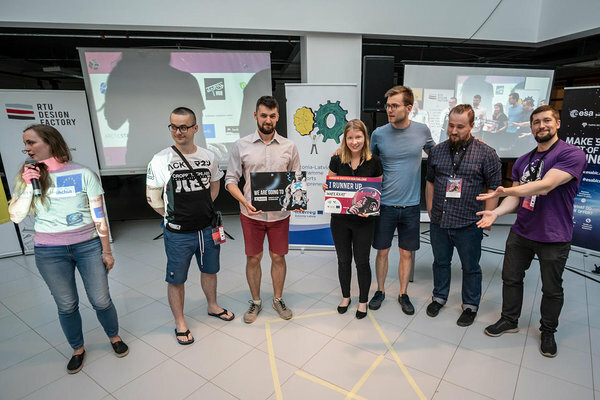 Garage48 SpaceTech Riga Challenge has reached it’s end, but looking at the teams and their ideas we are sure, that they will carry on the amazing vibe of this event! From 16 pitches on Friday evening 9 were chosen and realised by Sunday night. We witnessed what determination, creativity, hard work and a great team can achieve. 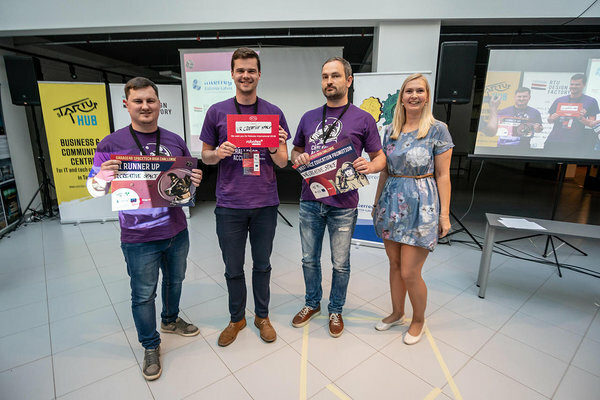 Garage48 SpaceTech Riga Challenge was organised by Garage48, sTARTUp HUB, Heliocentric Technologies Latvia and Green and Smart Technology Cluster as a part of the European Regional Development Fund Interreg Estonia-Latvia SpaceTEM project. 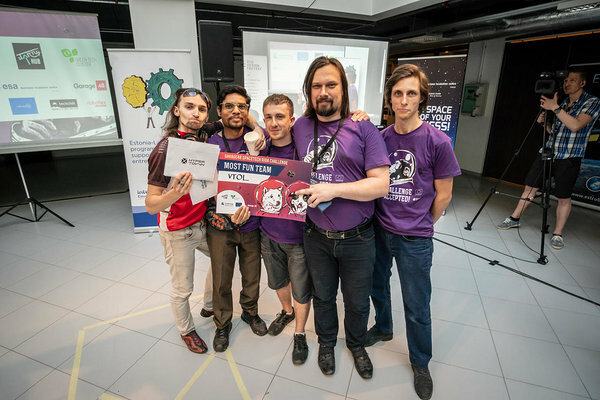 Even though this was the first Garage48 SpaceTech hackathon in Rig, we were welcomed most warmly to the Riga Technical University Design Factory with great enthusiasm. Thank you for letting us launch rockets and drop parachutes in your amazing venue! ,,What I really liked in this hackathon was a wide variety of ideas. Some of them seemed to be "crazy" in the beginning, but teams worked really hard to make them useful. I particularly enjoyed working with teams, which focused on satellite data manipulation and analysis - they were quite close to what is going on in professional space projects. Hackathons are great places to "taste the space", interact with other enthusiasts, experts and entrepreneurs. This is an awesome place to begin a venture into the space sector,” commented space industry business development expert and mentor of the event, Krzysztof Kanawka (Space3ac). We had 16 ideas pitched and by Sunday all of the 9 teams formed on Friday presented their prototypes. The ideas varied from VR games to rocket launch systems and all of the teams finished what they set out to achieve. ,,The teams managed to pull off wide array of projects aimed for space industry from working with satellite data and deep learning technologies to create valuable applications to actual hardware solutions for amateur space enthusiasts. 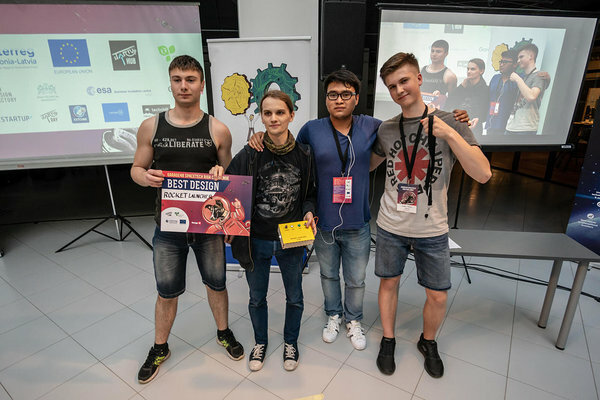 This just proves that while the Baltics might not build a full fledged space rocket anytime soon, we can punch above our weight with our talented developers and engineers community, in building niche applications for the industry,” said Krists Avots, the moderator and leading mentor of the hackathon and a long-time Garage48 team member (Lattelecom, Garage48). To help the teams achieve their goals we had an amazing set of mentors helping them day and night. These wonderful people were Krists Avots (Lattelecom, Garage48), Krzysztof Kanawka (Space3ac), Andrus Kurvits (ESA BIC Estonia), Taivo Pungas (Starship Technologies), Hendrik Ehrpais (ESTCube), Kadri Bussov (ESTCube), Valeria Vlasenko (ArcticStartup), Pauls Irbinš (Heliocentric Technologies Latvia), Aleksandra Varnaeva (Helpific), Lauri Kimmel (Spaceit), Andrejs Pukitis (Baltic Lazers), Karlis Goba (Giraffe360), Janis Dimpers ( Latvian Independent Television). Thank you once again for taking the time to mentor our teams! 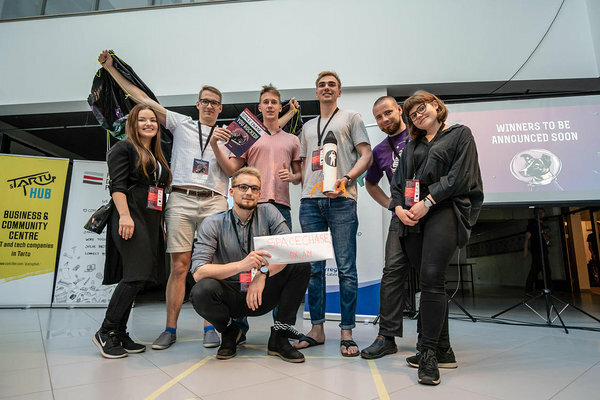 Big thank you to the members of the jury - Krzsysztof Kanawka (Space3ac), Andrus Kurvits (ESA BIC Estonia), Kadri Bussov (ESTCube), Valerie Vlasenko (ArcticStartup), Guntis Kulikovskis (RTU DF), Pauls Irbins (ZINOO). Special thanks to the team members who made this fantastic event happen! We wouldn’t be here without you and even if we were it wouldn’t have the wonderful atmosphere we had this weekend. Thank you to all the team members Kadri Kõivik, Pauls Irbinš, Marili Vihmann, Saskia Jõers, Kai Isand, Anete Zveja, Liga Jupatova, Liene Rubina, Klavs Ansons, Toomas Välja, Jaanus Sakkis. Forest monitoring system based on satellite images and LVM data. All other teams & winners, mentors, our sponsor and supporters, jury members and organizing team - YOU ROCK! See you at Garage48 SpaceTech Tartu Challenge in 2019! 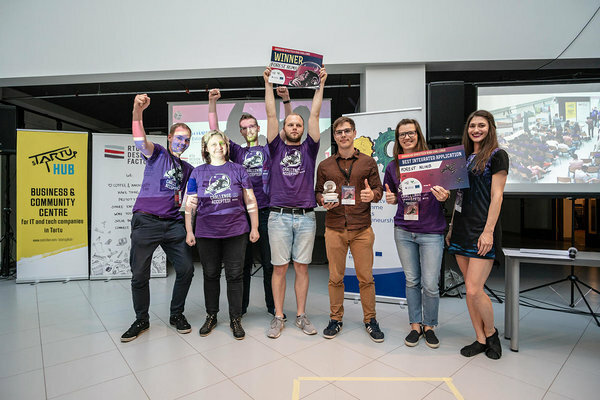 The event was financed by European Regional Development Fund, sTARTUp HUB, Heliocentric Technologies Latvia and Green and Smart Technology Cluster. Event sponsors are Riga Technical University Design Factory and ESA BIC Estonia. Our supporters are ArcticStartup, sTARTUp Day, ESTCube, Latitude59 and TechChill.